When the M60 and M60A1 tanks entered service, the US Army still had a large number of M48 tanks in service and decided to upgrade them to match most of the capabilities of the newer vehicles. A testbed dubbed the M48A1E1 was built with the Continental AVDS-1790 diesel engine as well as adding the coincidence rangefinder from the M60 series in place of the older stereoscopic one. The new tank, other than its lack of the newer 105mm gun, was considered its near equal in most categories. The biggest one was nearly doubling the tank’s range to 300 miles on the highway (500 kilometers) from the older M48/A1/A2 gasoline engine. 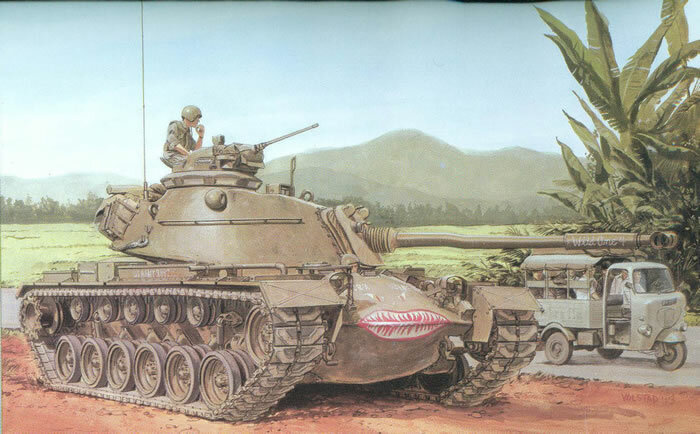 When the tanks got to Vietnam they were found to have some serious problems. 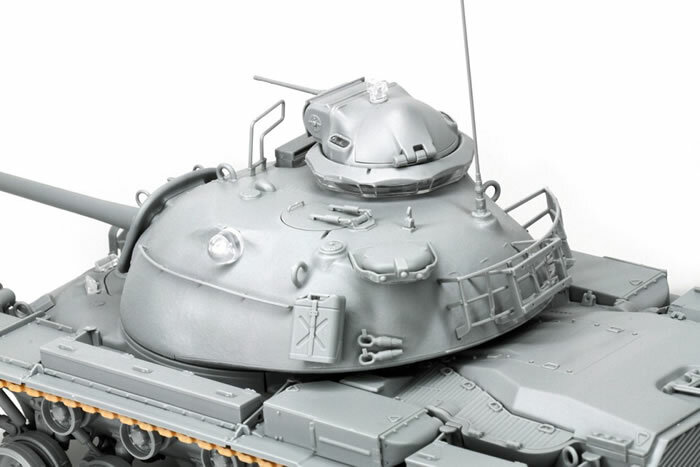 One of the worst was the poor visibility from the commander’s cupola and lack of room due to the use of the big M2HB machine gun in a tight space. The fenders and headlights also proved no match for jungle growth and were easily damaged. As a result, Bowen-McLaughlin-York modified 578 M48A3 tanks to “Model B” standards with new reinforced fenders and stronger headlight mounts and guards, a bulged commander’s hatch, and a riser block with eight large prisms in it for improved room and visibility. While it did not solve one endemic problem of the M48 series cupolas – 50 rounds for the M2 and link ejection jams – it did provide a much better environment for the commander. But many commanders preferred to have the .50 caliber gun mounted outside the cupola on a pintle mount. 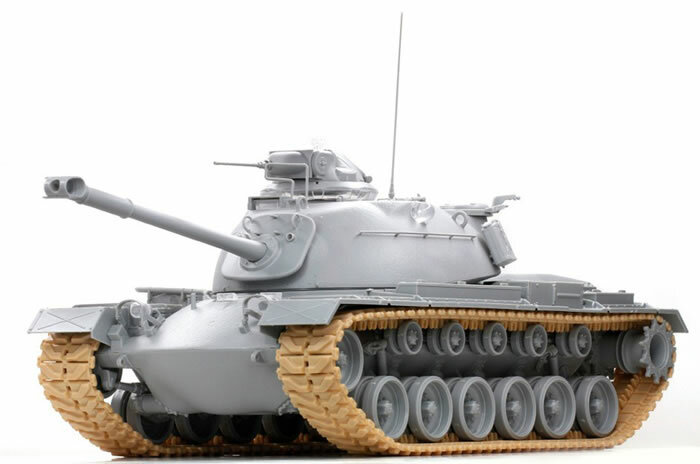 About 55 years ago Monogram released a kit of the then-new M48A2 tank with a set of figures and “working” features. While a great kit for the time, it was eventually overtaken by its age. 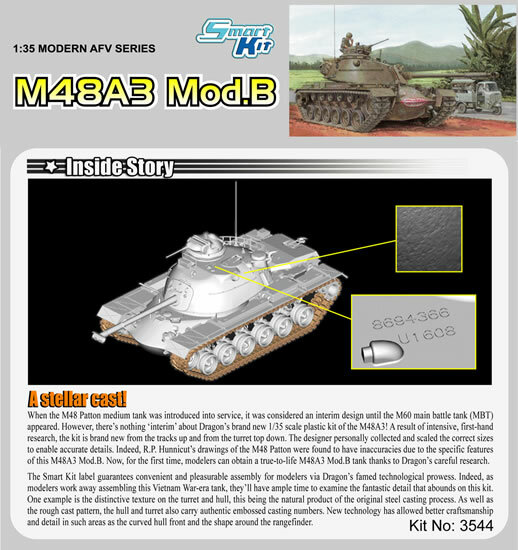 Just over 30 years ago Tamiya came out with a kit of the M48A3 Model B tank as used in Vietnam, and it proved a very popular kit. But as modelers gained sophistication – and great references like the Hunnicutt book “Patton: A History of the American Main Battle Tank” – it was seen to have a lot of flaws. 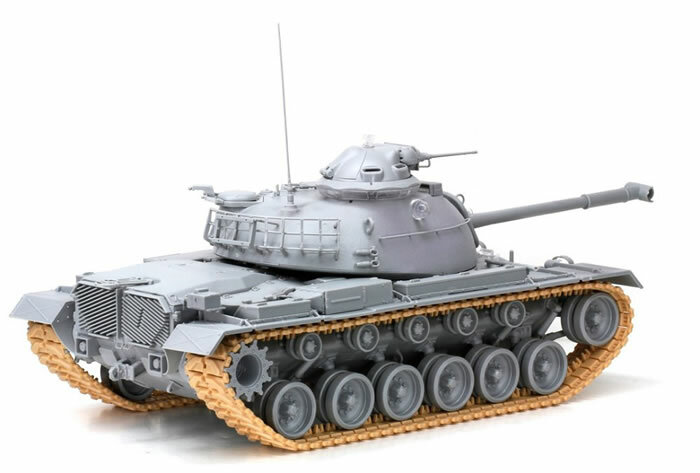 Worst among them was the fact that Tamiya had measured down an empty M48, and with more than 9,000 pounds taken off its suspension it sat about 4" too high, which unfortunately Tamiya faithfully replicated. It was also “motorized” so its hull was compromised with numerous slots and screw holes for that equipment. A clone of this kit was also offered for a while by Academy. 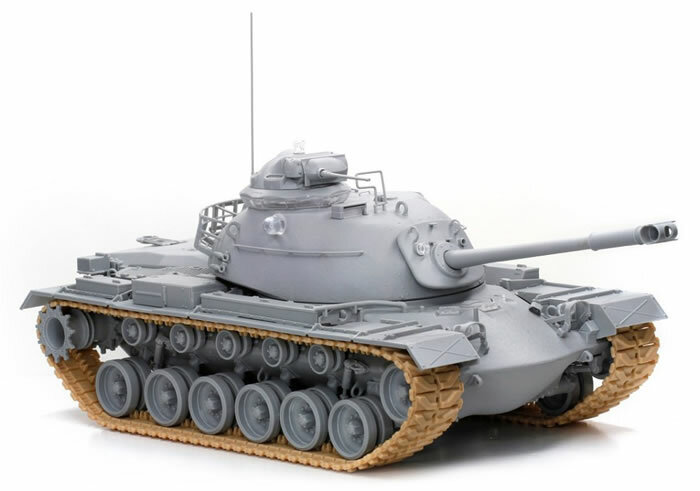 In 2013 two new kits were announced, one from AFV Club and one from DML; the latter is first to the market. 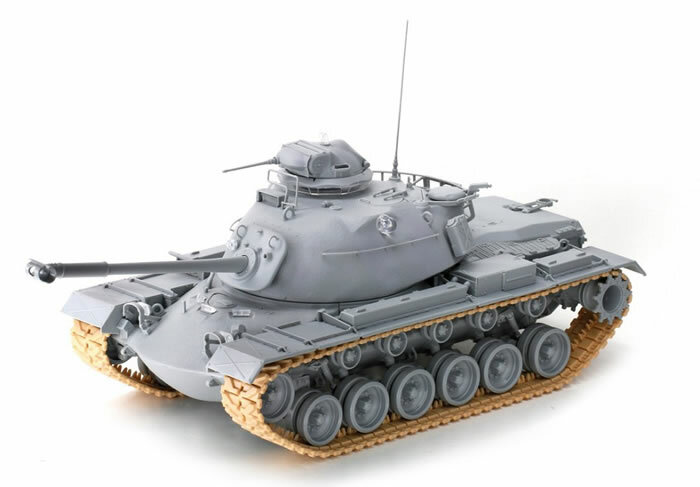 DML’s kit shows a great deal of planning for other variants, and as it sits now it can be produced as an early M48A3, an M48A2 or M48A2C, or an M48A5 with little changes needed other than a new sprue or two. 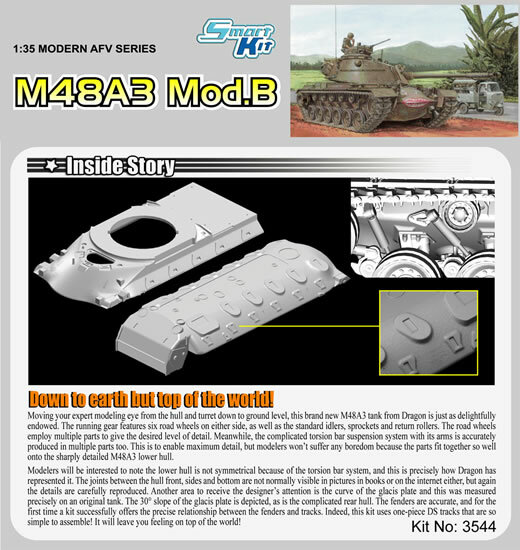 Based on the rear engine deck hull side fittings, it also appears that an M48 and M48A1 will also follow. The kit appears to have taken a lot of comments by modelers into account, and looks to have used some pretty good research. 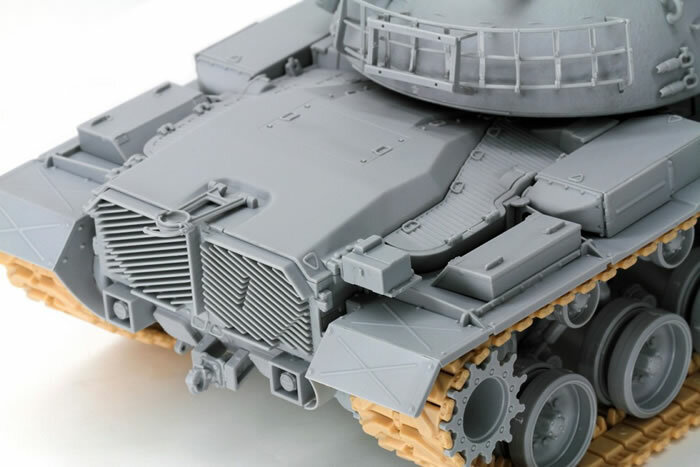 Recent comments about the height of the turret seem to find the Tamiya turret a bit suspect, and this one measures 25.3 mm from lower edge to flat roof. The shapes compare favorably with those in the Hunnicutt book, and all details for the basic Model B tank are present. The riser block is a single clear molding but will need some tinting to more accurately represent those on the actual tank. 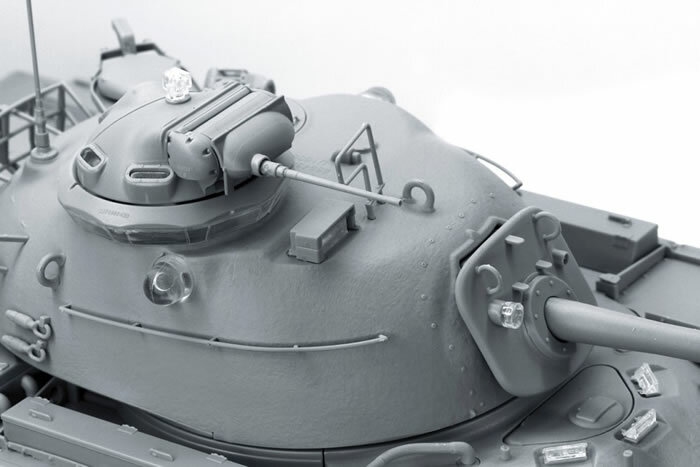 However, for reasons best known to DML they have left off the VVS-2 searchlight assembly (but did mold the power feed to the roof of the turret). The basic mounts are in place but are missing the ball fittings. Also an oddity is why, considering their great use of DS Plastic parts with other kits, DML did not provide the mantlet with its canvas cover and gun tube boot as found on nearly all of the Vietnam era tanks. 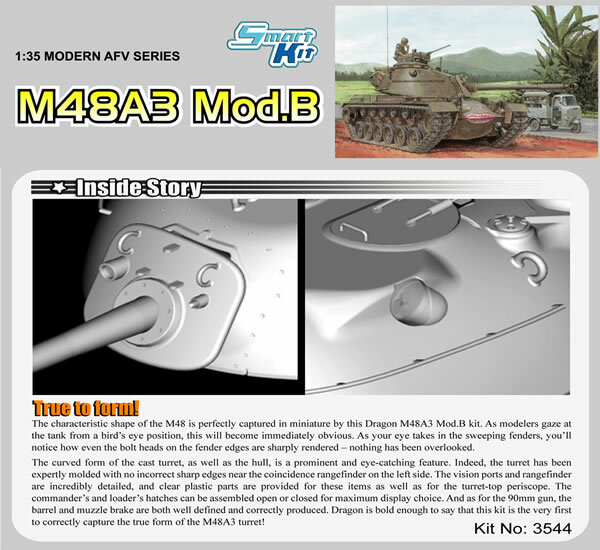 Of all major manufacturers, DML could have done this and pleased all of the modelers eagerly awaiting this kit. As it is, either they will have to await a later version of the kit or go to the after-market boys for a replacement. 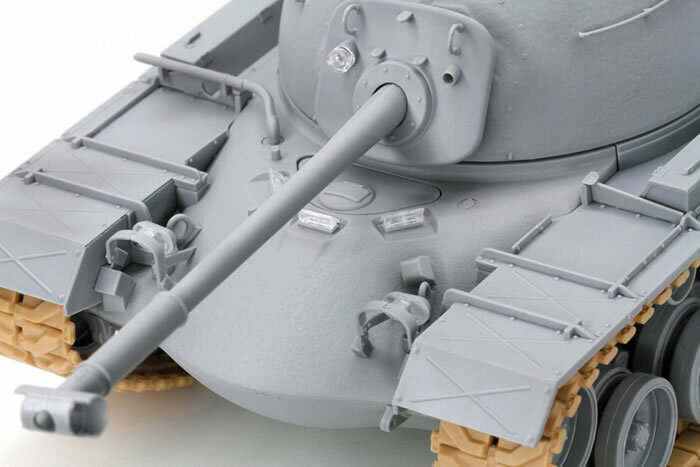 The turret comes with the early model T-shaped muzzle brake. This is not wrong, but later tanks adopted a slightly Y-shaped one due to problems with “Beehive” flechette rounds tending to cause the muzzle brake to shatter. The bustle rack is the basic model and comes in five parts, all of which are suitably thin and scale. Ditto for the hand rails on the sides of the turret. The hull comes in two halves with all other components having to be attached to them such as the engine deck, stern plate, and fenders. 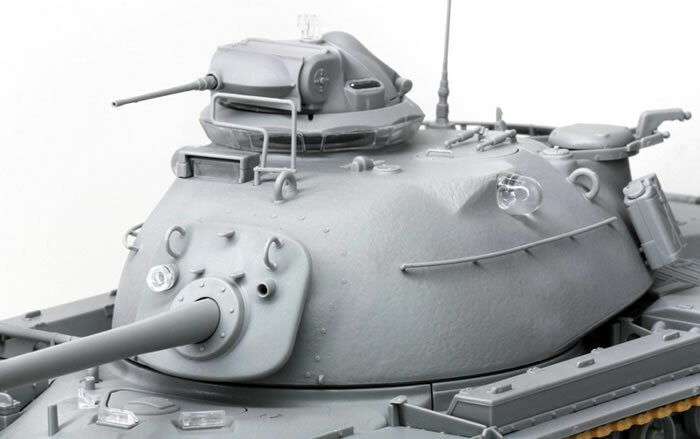 The fenders have part of the edge of the turret race molded to them; the M48A5 will need holes in them so it will be interesting to see what DML does when it gets to that tank. Due to the breakdown of parts an A2 will be easy for them to accomplish as the replacement side louvers without air cleaner feed should be a drop-fit from a new sprue. The kit comes with the correct “side load” air cleaners for this variant. The suspension is by far the most involved part of the kit. The road wheels each consist of a tire/rim and a center section, so they git a much better “lip” at the outer edge of the wheel. Surprisingly the drivers are solid and do not come with the cleanout holes found in nearly all of the tanks built. The suspension units consist of a hull mount, jounce stop, two-piece shock absorber and road wheel arm. The arms appear a bit fragile. The tracks are neatly done in DS Plastic and happily include three links of overlap for connection, which makes it easier to shorten them for attachment if too long or too loose. Oddly again, four finishing options are given but none are given any color! The only color cited is FS34102 green which is wrong for Vietnam era tanks, as most of them were in FS24087 semigloss or FS14087 gloss olive drab. Markings are provided for: Unidentified Unit, 1965 (tiger mouth, USA 9B8215, “Wild One 4"); Unidentified Unit, 1965 (USA 09A38468); Unidentified Unit, 1965 (USA 9A 9997, weight marking, white stars); B Company, 3rd Tank Battalion, USMC, Vietnam 1965 (B33, but a number jungle is provided for A, B or C Company tanks). A sheet of Cartograf decals provides the markings. Considering the fact this was the most common US tank in Vietnam (other than the early M48A2 deployment with the Marines) this is something of a disappointing selection. 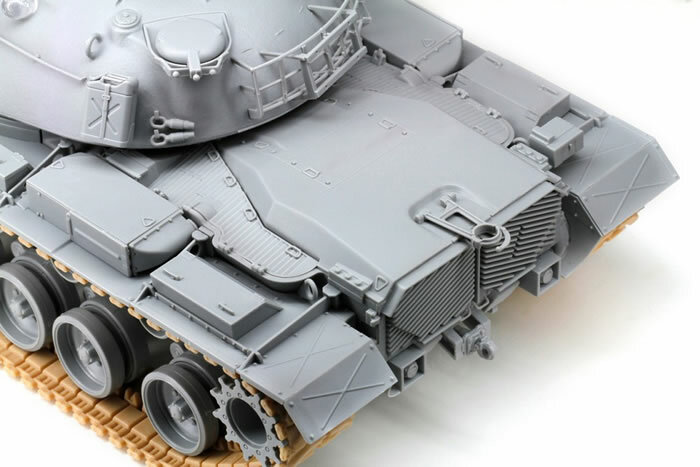 Overall, however, there is far more to cheer about this kit than to carp upon, and the fact that a series are apparently in planning bodes well for modern armor fans.